The Youth Guarantee ensures that all young people under 25 or recent graduates under 30 get an offer for a job, apprenticeship, traineeship, or to continue in education within 3 months of becoming unemployed. To fight youth unemployment, the Youth Guarantee states that all young people under 25 or recent graduates under 30 get an offer for a job, apprenticeship, traineeship, or to continue in education and it should be adapted to each person's needs and situation. 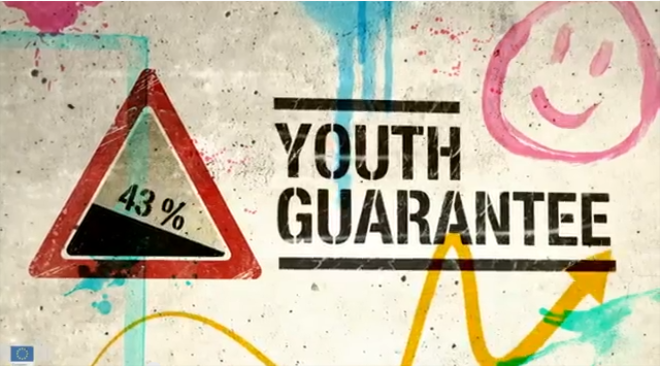 The Youth Guarantee has been in place in Finland since January 2013. Other EU countries are also developing their own national Youth Guarantee Implementation Plans with the support of the European Commission. To make sure the Youth Guarantee is developed and put into place, there needs to be a strong cooperation between all those involved public authorities, employment services, education & training institutions, business, employers and trade unions. In Finland methods of implementing the guarantee include measures related to the educational guarantee, the skills programme for young adults, employment and economic development services for youth (PES) and rehabilitation services, including municipal social and health care services and other individual services for young people, such as youth outreach work and youth workshop activities. The objective of the youth guarantee is to support young people in gain in a place in education and employment, to prevent prolonged youth unemployment, to identify factors contributing to the risk of social exclusion and to offer support at an early stage, in order to prevent social exclusion and marginalisation of young people.